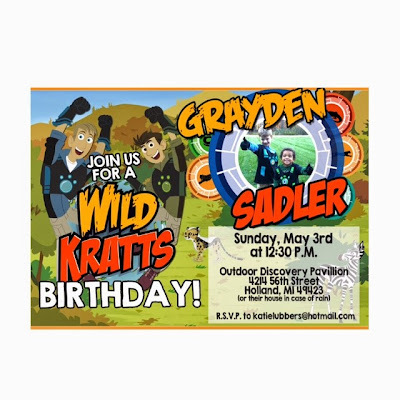 We celebrated the boys' birthdays with an combined Wild Kratts party on May 3! It ended up being the perfect day for an outdoor party, which was super lucky since we were planning on going to the Outdoor Discovery Center for the celebration! party animals ready to party! yes, Jovie and I are in animal print too :) I just can't help it! Such a fun day! The boys got lots of great gifts: Legos, zoo passes, a tee pee, tickets to see Wild Kratts live, Paw Patrol toys, animal figurines, pool toys, lincoln logs and much more.